The BBC’s director general makes an 11th hour appeal – but the two day strike looks set to go ahead regardless. 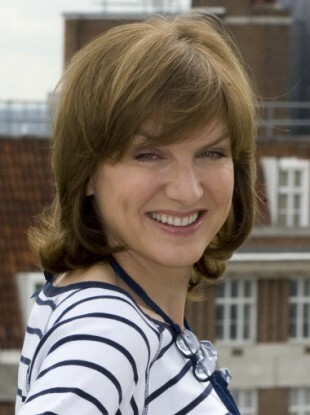 Fiona Bruce is expected to join the strike. THE BBC FACES a blackout on Friday and Saturday as reporters join a 48-hour strike over pensions organised by the UK’s National Union of Journalists, The Guardian reports. The BBC’s main TV and radio news programmes, including Radio 4′s Today, BBC1′s 10pm bulletin and Newsnight, will be affected – and star presenters including Fiona Bruce and Kirsty Wark are expected to also walk out. The 1pm and 6pm bulletins on BBC1 will be hit by the strike, as will the TV network’s Breakfast programme and the corporation’s 24-hour news channel, BBC News. The BBC director general, Mark Thompson, made an 11th hour appeal to staff, saying the action would mean a “significant loss of earnings” for NUJ members “without any advantage or benefit in return”. NUJ members across the BBC have consistently dubbed the proposals a pensions robbery. That hasn’t changed. The BBC have now left members with no choice but to take action to defend their pensions. Last week, NUJ members voted to go on strike in protest at proposed changes to the BBC’s final salary pension scheme. Email “BBC faces blackout as journalists strike”. Feedback on “BBC faces blackout as journalists strike”.